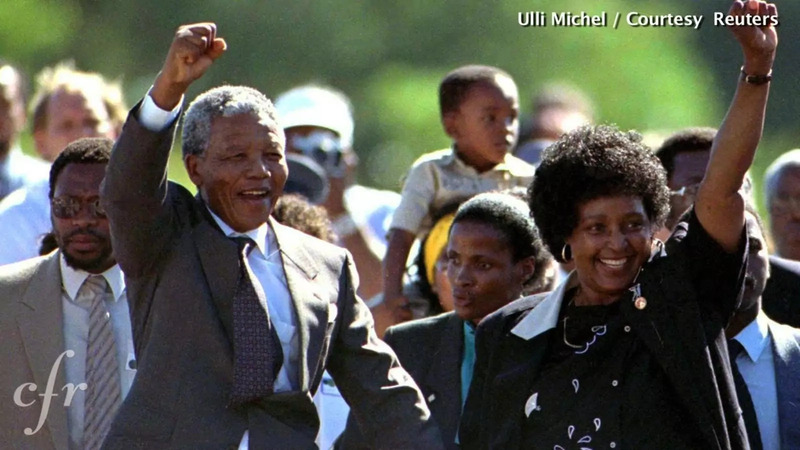 On February 11, 1990, South Africa released Nelson Mandela from prison. Since being jailed in 1962, Mandela had become one of the world’s most famous political prisoners, drawing international attention to the plight of black South Africans living under apartheid. After his release, Mandela was awarded the Nobel Peace Prize in 1993 and became South Africa’s first black president in 1994. James M. Lindsay, CFR’s senior vice president and director of studies, says that Mandela’s remarkable story shows how people make history, and that more recent examples, from Aung San Suu Kyi in Myanmar to Mohamed Bouazizi in Tunisia, continue to prove the point that individuals shape the course of world events. This video is part of Lessons Learned, a series dedicated to exploring historical events and examining their meaning in the context of foreign relations today.